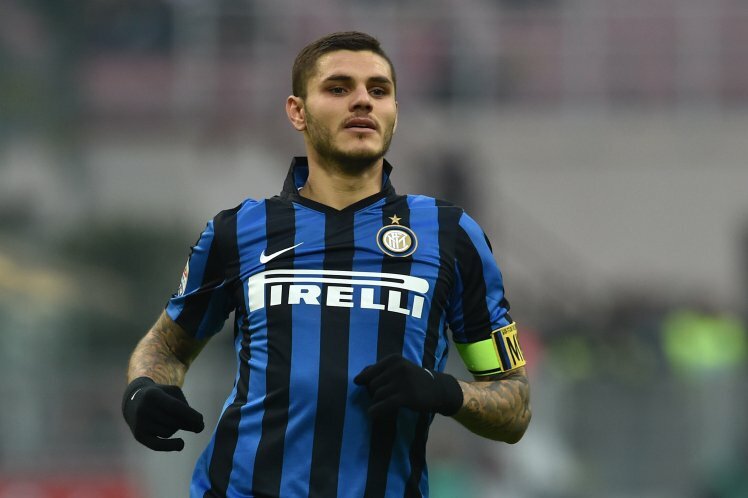 Spanish giants Atletico Madrid are interested in signing Inter Milan striker Mauro Icardi this summer. Atletico Madrid have been in pursuit of the player in the past but it looked to have died down, however, reports emerging in Argentina, Italy and Spain suggest that the Champions League finalists have revived their interest in signing the sensational attacker. Despite the interest, it is unlikely a deal will come through as Inter Milan will be reluctant to let their main man leave and have reportedly slapped a €45 million price tag on the player, a fee Atletico Madrid will definitely not be willing to pay even if they can afford it. Atletico Madrid won’t be relenting in their pursuit of the player so soon and it would be a plus if they sign him as he’s still 23 and has a lot of experience in his boots. Mauro Icardi who is a former youth player for FC Barcelona joined Inter Milan in 2013 for €13 million, he notched up 16 goals in 33 games for Inter this season in the Italian Serie A.